For some time, I have wanted to write at least part of The Rest of the Story of HH…. the many incredible people who have helped make this place happen. As I look back on the tapestry of my life I am honored and filled with gratitude for those who’ve been weavers with me in creating HH…the Grace, Grit and Gratitude story will be unfolding via a Blog as we prepare to celebrate the 25th anniversary of our Cancer Retreats and the blessing of being on this sacred hill for 33 years. GRIT: Perseverance & passion for long-term goals…. ability to maintain determination & motivation over long periods despite experiences with failure & adversity. GRATITUDE: The quality of being thankful; offering appreciation. As I embrace the 3rd act of my life I am grateful for all those who have contributed to or benefited from programs and activities on this hill. Here is a little background on how and why I was called to “the hill. “I grew up on a large dairy farm near Buckley & Mt. Rainier with wonderful parents, a brother and sister. It was the place I learned to love nature, the cycles of seasons, importance of community and the grit essential to a 24/7 lifestyle—all keys to the work at Harmony Hill. I had grandparents who lived nearby. My Swiss grandfather was more like Santa than Santa himself. He told beautiful stories about his homeland of Switzerland. He died of pancreatic cancer while I was in Nursing school which was my first personal introduction to this disease followed about the same time by my Mom getting breast cancer. I had the good fortune in 1970 to visit to my Grandpa’s original Swiss home high in the Alps overlooking Lake Lucerne. I was a little apprehensive to go as I feared it wouldn’t be nearly as magical as I imagined yet it was even more so. We traveled on an all-night train after this amazing visit and I was awake the whole night filled with gratitude, swayed by the train, in touch with my breath—perhaps my first ever deep meditation. When I got off that train the next morning, I had a felt sense/ a calling for what I was to do with my life. I was called to be part of the creation of an education, recreational, therapeutic community. I was a young public health nurse at that time and believed this calling was to create a Wellness center. I loved the farm I grew up on and spoke with my folks about making it into a wellness center. Although they listened carefully Dad said “…what about the cows?” we had hundreds of them! Clearly it was not right time or place, yet I felt determined to explore this idea further by going to graduate school. After one quarter, a colleague told me about a new exciting project for the creation of Family Nurse Practitioners (FNP) in rural underserved areas. Another nurse and I were selected for training to work in Darrington with two wonderful physicians in Arlington to open the Clinic which became a model for other rural clinics. When the Univ. of WA. (UW) School of Nursing (SON) started an FNP master’s program I was invited to return to graduate school, teaching some of the clinical classes and then became a member for the UW faculty for 7 years. My focus was on rural health clinics and was able to start FNP preceptor training sites in WA, Oregon, Idaho and Alaska. While at the UW I created a game called “Winning at Wellness” which was a fun educational tool. However, with my lack of business savvy and demands of academia I felt hypocritical about my own personal wellness. I was not walking my own talk. I had put the dream of a wellness center way in the back of my mind. I left the UW in 1971 feeling pretty burned out knowing I needed to find new authentic ways to follow my dreams. 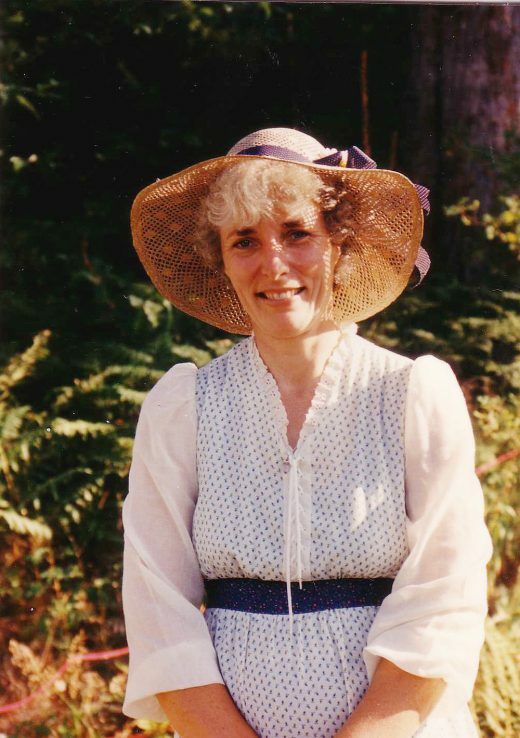 I began teaching at Tacoma Community College and then thru much Grace came to Hood Canal for a woman’s retreat at St. Andrew’s House (SAH) in 1985. It was a bright Feb day with fresh snow on the mountains and crystal-clear blue waters on the canal. I immediately felt like I had come home…that I was back in Switzerland and my calling was about to be born! I came back to SAH two months later for another retreat and wrote to the managers ahead asking if I could volunteer in their kitchen for “chopping therapy” … they clearly loved what they did and welcomed me. After 3 wonderful days when it was time for me to leave, I thanked them deeply and said that I hated to leave…Carolyn the co-manager looked me straight in my eyes and heart and said” “Why don’t you stay?” …4 words that changed my life. I did not stay, but I did return 2 days later and began what I called my “monastic year”! My main focus in these blogs will be on the core of our Mission which is to “transform the lives of those affected by cancer and inspire healthy living for all.” While these first few blogs will tell a little of the early creation days, each blog will include some reflections or a poem and a few quotes from cancer retreat participants as they thank the donors who made it possible for them to attend with no costs. I welcome your feedback and reflections. Thanks for your caring. Stay tuned: Next blog is on opportunities that came from the many blessings at SAH as Harmony Hill emerged as a wellness retreat center next door. What a gift you are. Thank you for creating a space where hearts open and eyes drain from pent up emotion. I will never forget my time on the hill. Thank you for opening your heart. I will hold your story in my heart and it will grow as you tell it with love. Harmony Hill is a portal to the sacred for so many. Sharing “the rest of the story” comes as yet another gift to everyone drawn here, I will read each one with deep gratitude for you, Gretchen, and for your vision. I would have loved your dad…’what about the cows?’ ! I was a volunteer at H.H and for awhile staff there too. I was the one who burned a whole clean through the bottom of the microwave with my ‘molten muffin’ mistake and a host of other rather poignant disasters. You were very kind to me and I carry the memory of the Hill as an amazing space that I was so blessed to call a home of sorts. I am a therapist now, working on my own life story. I read your installment with so much gratitude. I can’t wait for you to get to the part where you and the Western doctors visit the Eastern Healers! Gretchen as long as I’ve know you I’m still surprised every time I talk to you or read your story. So many wonderful surprises wrapped up in you and our beloved hill. I couldn’t help thinking how the “Quotes form cancer patients” are so wrapped up in the life of the “Hill”. May the life force of all of those always be with us. Eager to hear this history of such a sacred place grew out of your calling. It has indeed grown into a sacred healing place. I have been honored to be a volunteer, an employee as well as a participant in HH’s retreats. I have been blessed to arrive Home at the Hill. The staff have been influential in my growth. I am thankful for Gretchen’s presence in my life. Her work is a gift to us all. I have known you since 2004 and I continue to appreciate your story and the stories of those whose lives have been changed by their experience at Harmony Hill. I am one of them. I look forward to your next entry. beloved Gretchen – who believes that anything is possible – and holds up a light to show the way…. You are a stunningly beautiful soul. Much love to you for all your contributions and gifts to everyone who is touched by your vision. I’m so happy you are doing this! I love reading about your life’s journey and work. And I am so grateful to you for creating the hill and changing many lives. Thank you Gretchen, for sharing your heart and soul with all of us and everyone who has driven up ‘the hill’ to attend one of the cancer retreats. The first time was an attendee there I honestly had no idea what I was getting into. I had never been to a retreat (as an adult) and had it not been for my hair colorist and friend at the time I may not have even known about what has become a sacred place for me. I recall trying to explain or express to friends and family after that first retreat what it had meant to me but it was difficult to sum up the experience since it was truly life changing for me. What I came up with was describing my time there as a gift. Even that doesn’t express the gratitude I have for you, all of the staff there and the facilitators. I’m enjoying hearing more of your story and the history of one of my favorite places to visit.